Here’s another summer favorite — kicked up a notch — from my boyfriend Tyler Florence. 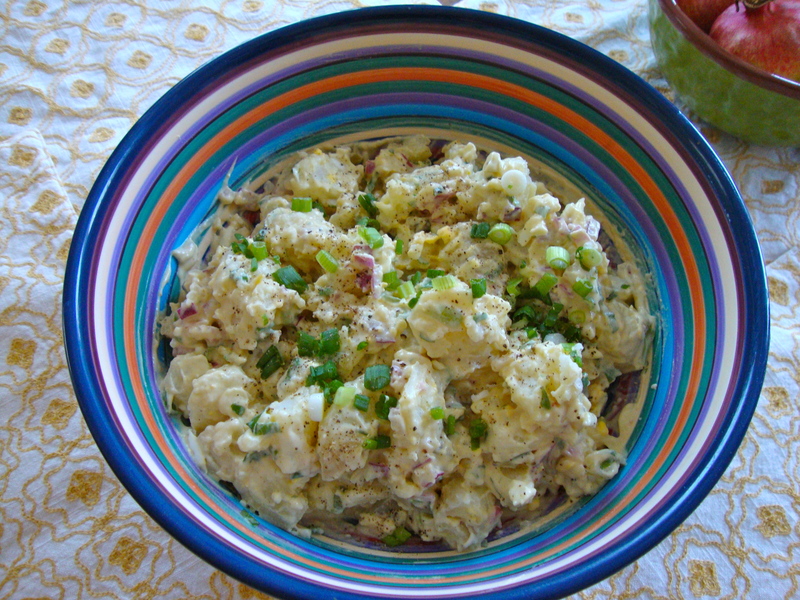 The pickles and capers, plus a healthy dose of Dijon mustard, make this potato salad AHH-mazing. 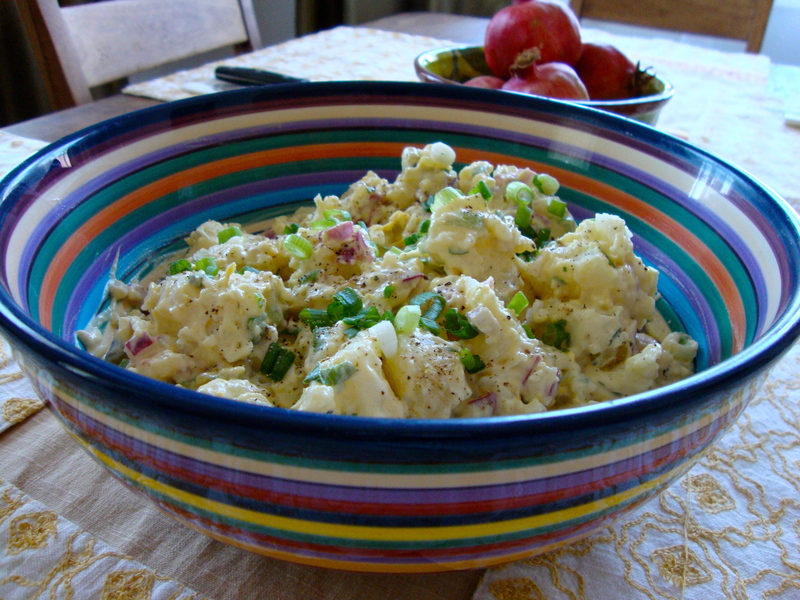 It’s just the right amount of sour and salty — by far the best potato salad I’ve ever had. I’ve made this a bunch of times for cookouts and it gets tons of compliments. Jason skewered the dove with a piece of pineapple and wrapped it in turkey bacon, and grilled it up with some peppers and onions. Another one he wrapped up with a pepperocini. Not bad at all! 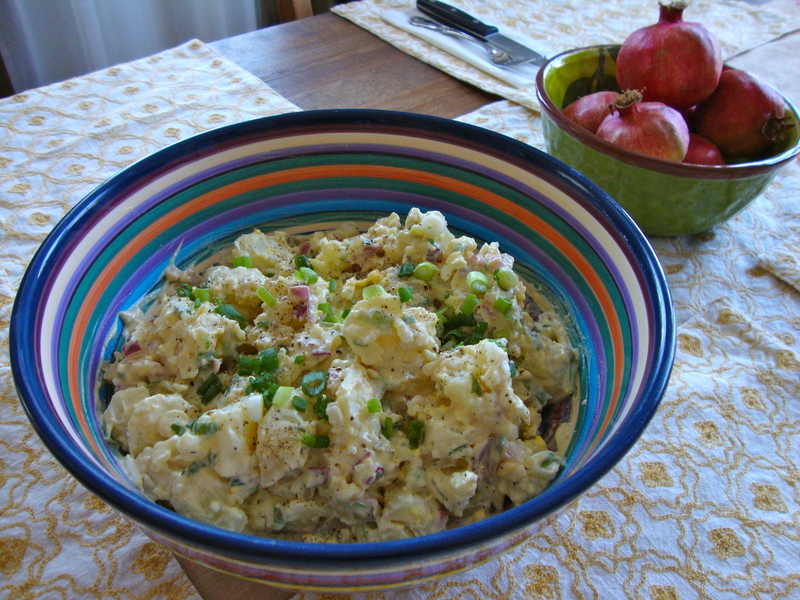 And the potato salad was a nice little accompaniment. This entry was posted in Recipes, Uncategorized and tagged cookout, pickles, potato salad, summer by Tricia. Bookmark the permalink.